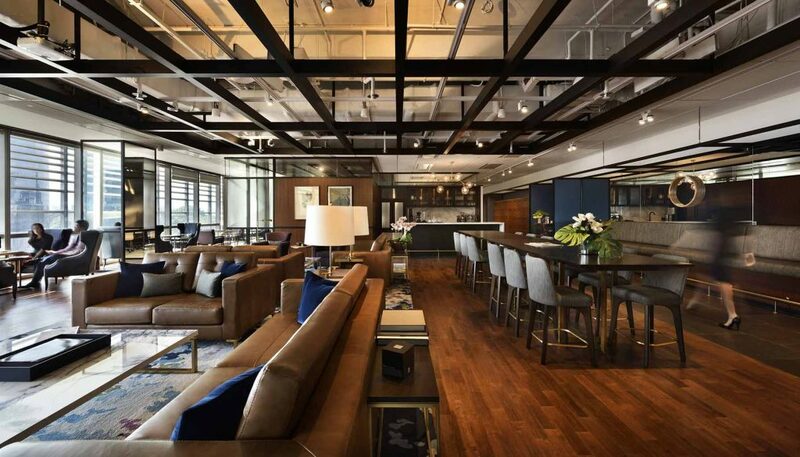 Co-working spaces have redefined offices and what people expect out of them. Far from drab, impersonal rooms occupied by reluctant cubicle rats, these spaces are all about making work more enjoyable. For some, this may mean designer interiors with all the sumptuous details – sofas you can sink into instead of stiff office chairs, or huge windows that let in lots of daylight instead of harsh fluorescent lights. For others, it’s the fringe benefits that count – think complimentary cookies, artisanal coffee and well-planned networking events you’ll actually want to attend. So if you’re looking for a new view (or desk buddy), check out the following co-working spaces that provide all that, and more. For an idea that began as one Irish expat’s solution to boredom, Collective Works has come a long way. Jonathan O’Byrne used to work out of a spare bedroom running a profitable branding and communication business. When the isolation got to him, he closed down that company, and started a co-working space where he could meet like-minded people. 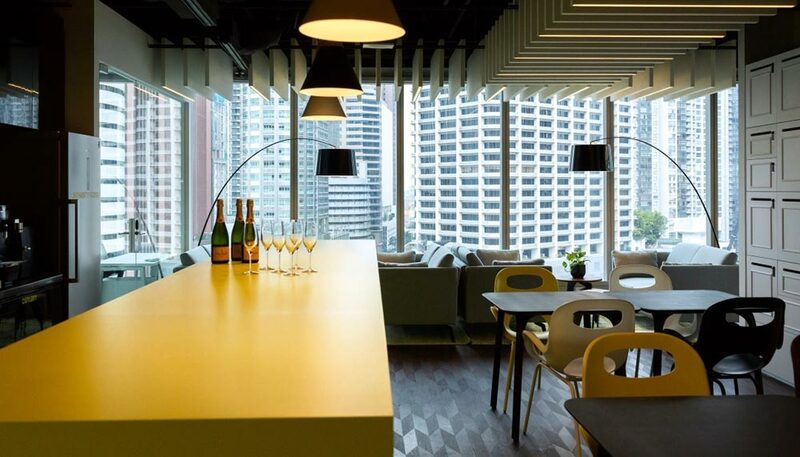 Today, the Collective Works has two branches; the inaugural one on Cecil Street, and the swankier one on the 12th floor of Capital Tower on Robinson Road. 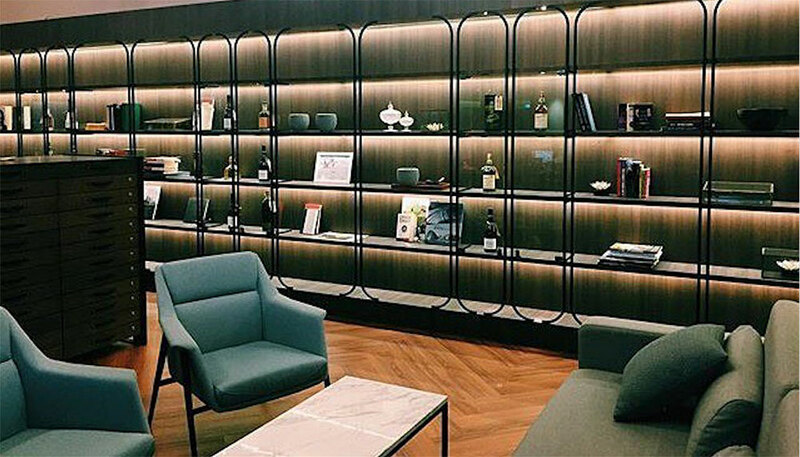 Rather unique is its Bespoke service, which allows members to choose a private office space and have it completely built to order. The entire process is managed by Collective Works, so members who opt for this never have to lift a finger to get their dream office. Not a co-working space for the average joe, Collision 8 screens potential members before approving their applications to join. And what the company looks for is vaguely explained by co-founder Michelle Yong as “a desire to innovate and collaborate”. 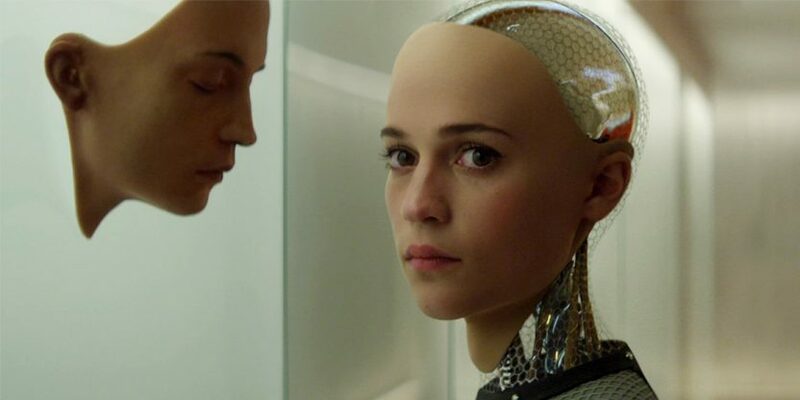 That’s because Collision 8 was envisioned to be a space where ideas can collide to spark something brilliant. To that end, it has a never-ending roster of high quality seminars for its members that are meant to inspire discussions. Oh, and did we mention the panoramic views of the civic district from the space’s eighth floor perch on North Bridge Road? All buns of steel and sculpted arms, the members at Core Collective are more attractive than the average worker. That’s because Core Collective is a co-working space for those in the fitness and wellness industries. 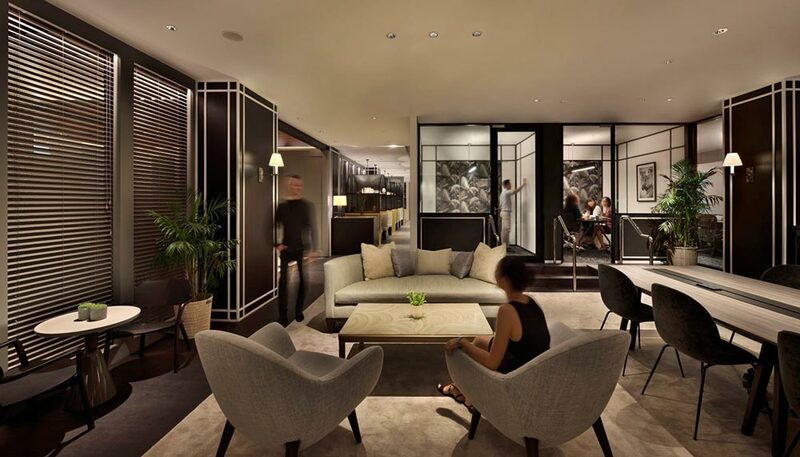 The 23,600sqft, three-storey space on Anson Road boasts 29 treatment rooms for physiotherapists, nutritionists, chiropractors, and alternative medicine practitioners who need private consultation spaces. There’s also a fully-equipped gym, yoga studios, and even a boxing ring where independent fitness and yoga instructors may hold their classes. 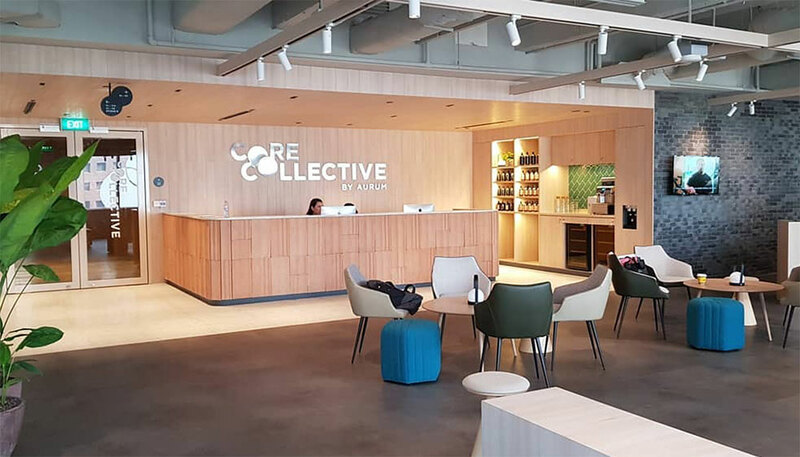 Those who are not fitness or wellness professionals are welcomed, too; Core Collective also operates like a regular gym, and classes can be booked via the Core Collective app. Work amidst the greats, and perhaps, one will become great, too. At Paperwork, members sit on designer Herman Miller chairs while working at desks by Steelcase Navi. On the walls are art curated by FOST Gallery that changes every quarter. Located on the third floor of National Design Centre, Paperwork calls itself a co-creation space, and was built with the needs of the design entrepreneur in mind. If designer furniture and art are not enough to inspire, there’s also a materials library with a comprehensive collection of product catalogues, swatches, and samples. On top of that, members get to try out the latest design softwares such as VArch, a virtual reality solution for architects that creates ultra-realistic renderings of a space before its completion. Silo was actually built as an anti-co-working space, or, as its website more tactfully puts it, “a counterpoint to co-working spaces”. It eschews the element of forced social contact so common in typical co-working spaces, which are often open-plan. Instead, it has 13 private offices hidden behind discreetly-numbered doors spread out over three shophouses on Temple Street. Each office is a different size, built to house teams between two to nine people. 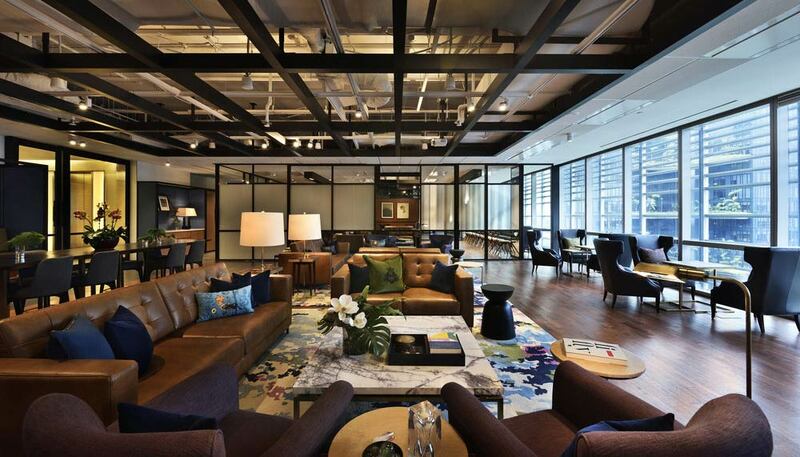 Despite being an atypical co-working space, Silo boasts all the typical basic amenities. This includes two meeting rooms, pantries, a drinks area, and even showers for members who need to pull all-nighters. Imagine an office as comfortable as a luxury hotel room. Then, step into any one of The Great Room’s three local locations and realise it’s reality. 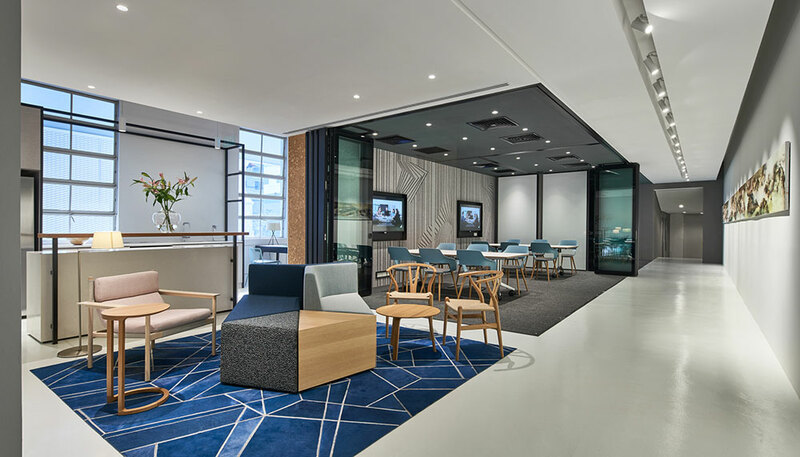 Architecture firm Hassell Studio has taken a rare foray out of the hospitality industry for which it usually designs and given a refreshing interpretation of what an office space could be. The result is like a gentleman’s loft apartment on steroids – an expansive open plan space kitted out in hard woods, black metal beams, and brown leather sofas. 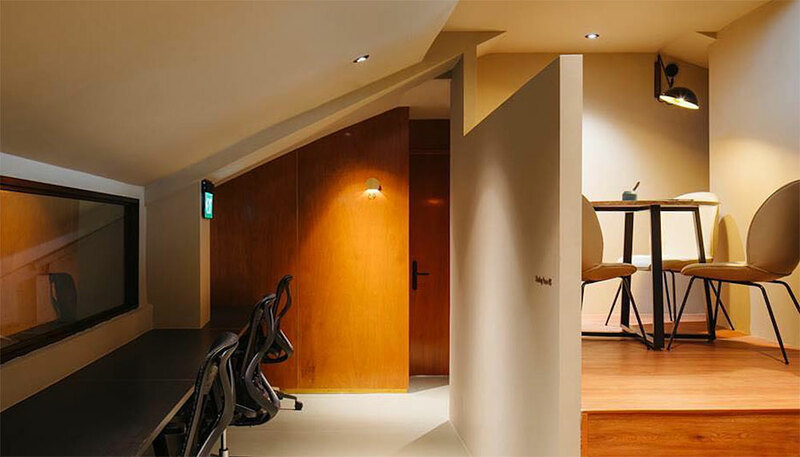 Besides the usual hot desks and small private offices, there’s a multi-tasking studio that works as a meeting room for 12, workshop space for 20, or a yoga studio in the evenings. Taking centerstage is the large lounge, where members can gather for informal networking sessions, enjoy Papa Palheta coffee, or shoulder massages on Monday afternoons. Founder Junny Lee calls The Work Project “Office 2.0”. It’s his idea of what a perfect office for the future worker should be. And what that is, is unprecedented flexibility – a space that can be adapted to the (sometimes daily) changing needs of the people who use it. Unlike at most co-working spaces, there’s no need to commit to a specified room type at the sign-up stage. Members on even the most basic full-time membership get 24/7 access to the whole space, so they can move around between the hot desks, one of the small private offices (called focus rooms), or meeting rooms, depending on their needs for the day. And speaking of needs, caffeine fixes here are provided by Omotesando Koffee; the cafe within The Work Project’s Shenton Way location is the acclaimed Japanese chain’s first outpost in Singapore. 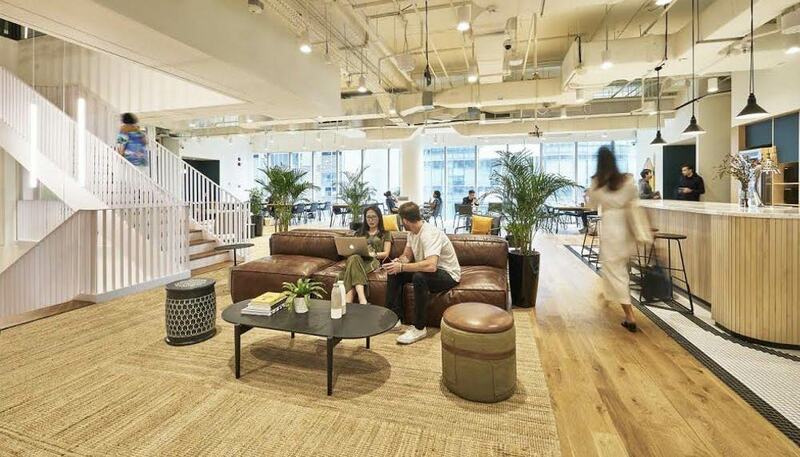 When this American co-working giant made its debut in Singapore in December last year, it already had 199 branches spread out across 19 countries. And after less than a year here, it has expanded to seven local offices with more planned. The different locations attract members from different industries. Those clustered in and around the CBD are dominated by members in accounting or finance. Its inaugural office on Beach Road attracted a mixed-bag of members when it first opened, with local start-up Chope, which runs a restaurant booking app, signing up to share space with multinational companies like HP. The space slated to open next year at the newly-renovated Funan will target tech start-ups. Amenities at WeWork are typical and nothing to shout about, but its branch on Beach Road does have beer on tap.